Enjoying The Course: Happy Spring! Don't be jealous, but the weather has been pretty perfect here lately! Highs in the 70s/low 80s; lows in the 50s/60s. Even the wind hasn't been too crazy. Today marks the first day of Spring. Oh happy day! Those of you living in the colder climates, I'm sure it will start warming up where you are soon. 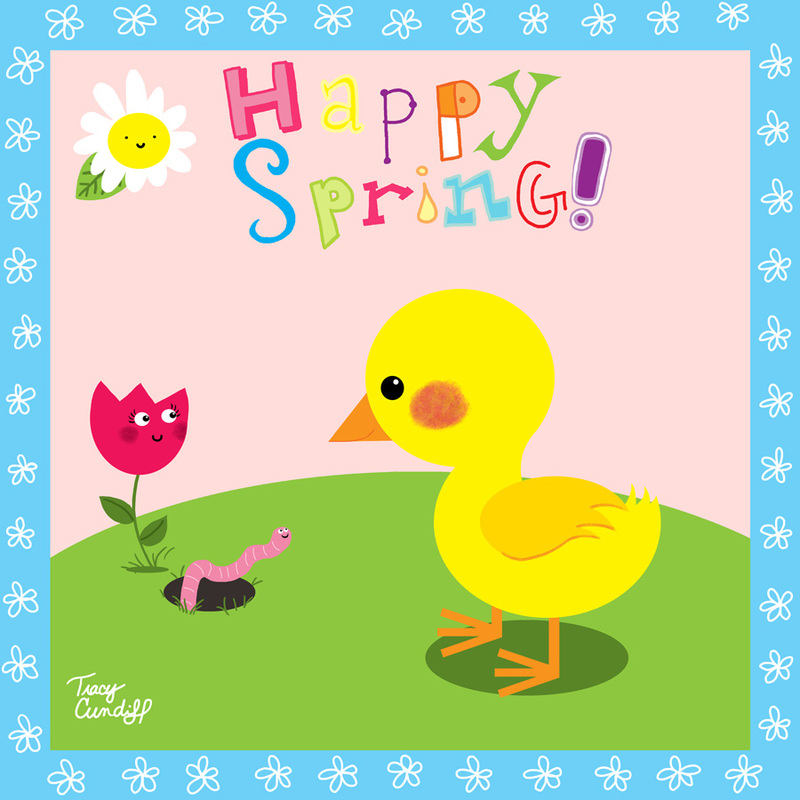 Spring is like the promise of new and great and better things to come. I LOVE SPRING! But with the change in weather, my closet becomes more depressing. All my clothes seem to be too warm or too dark. I need some light and bright clothes to spring-up my wardrobe. It seems that the older I get the cheaper I get. When I was in my 20s, almost all of my clothes were purchased at the mall. At stores like Express and NY & Co. True, I generally shopped the sales racks, but I didn't have nearly as much trouble spending money on clothes as I do now. I prefer shopping alone because I am a super slow shopper. Thrift stores can be so overwhelming, and I really need to be in the right mood to go, but when I do go, I'm there for several hours. Including many trips to the fitting room. There are so many sweet deals you can find at a thrift store, but it often takes a lot of hard work. A lot of sifting. Scouring. I'm compelled to search through each and every rack in fear of missing out on something great search of the perfect piece at the perfect price. To me, thrift shopping is serious business and not for the casual shopper. I also love thrift shopping because it's greener than buying new. I like knowing that, in a small way, I'm helping to make the world a little better by reducing waste and buying used. Thrift shopping is an adventure. With all the scouring and sifting I already mentioned, it's like a treasure hunt. You never know what you'll find. And one of the best things about thrift shopping? It's rare that you'll ever buy the exact same thing as your co-worker! Unless, of course, you shop at the same thrift store that your co-worker donates, then you might just end up buying their old clothes. lol. True story. It didn't happen to me, but I overheard the story in the lunchroom. 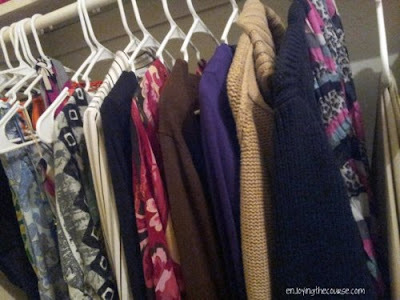 Does the season change make you want to go shopping and spruce up your closet? What do you love or hate about thrift shopping? Thrift store shopping is definitely an adventure. I hardly look at the clothes but normally going through the books and just looking around eats up a lot of time. I usually make a day of it once a month and stop in at all my favorite ones. That sounds fun! I rarely look at anything besides clothes, but I bet there's a lot of other fun treasures to be found. I love thrift store shopping! I'm the same way, I feel like I have to look through every single rack, because I don't want to miss anything! It's amazing some of the things I find- clothes with tags still on and everything! The season change does make me want to go shopping! And I'm totally jealous of your weather! It is FREEZING here, I hate it! Don't worry. It will warm up there soon. :) Every season change makes me want to go shopping! I must thrift alone! It takes me several hours to go through everything, then another hour to try on, then one last hour to make sure I didn't miss anything. And that's just in one store! And I'm already so jelouse about the weather! I keep telling myself that soon it will be better. Yes, the clothes in my closet depress me immensely when the seasons change. Fortunately, I'm still wearing 4 layers to my son's baseball games, so I'm in no hurry for lighter, brighter clothes. I REALLY want to be that thrift store shopper that scores the awesome deals, but I don't know where to go - I guess it's trial and error to find the good stores. Yeah. They can really be hit or miss. Since I am in the South I feel like I have all spring/summer/fall clothes and nothing for when it gets cold. This means I now get to start wearing more of my wardrobe.